Improving infrastructure is a cornerstone of road safety and will be critical to achieving the EU’s new road safety targets for 2030 and implementing a Safe System approach across the road network. The road system should be safe for use by every road user in every EU member state. We, the undersigned, welcome the current revision of the Road Infrastructure Safety Management Directive 2008/96 (RISM) and call for the inclusion of the following recommendations. Apply the instruments of the RISM Directive to any road infrastructure project outside urban areas completed using EU funding. Extending the application of the Directive to cover all main urban and main rural roads. 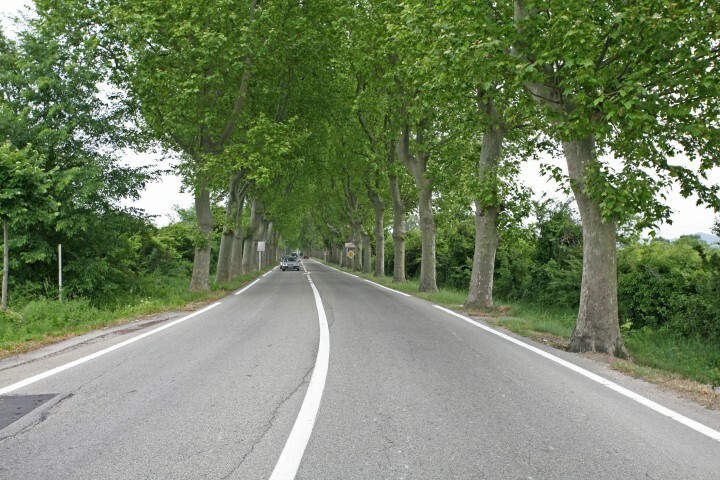 Extend the application of the Directive to cover all EU (co-) financed road improvement schemes, including urban roads. The Directive would have the highest potential if extended to the non-TEN-T network, where the majority of severe and fatal collisions occur. Only 8% of deaths occur on the motorway, 37% in urban areas and 55% on rural non-motorways. Infrastructure safety needs budgets and programmes proportionate to the value of preventing road collision costs. Cost benefit analysis of road safety audits and inspections was carried out and found to have a benefit-to-cost ratio greater than 1. EU funds should never be used to build or upgrade unsafe roads. Introduce or strengthen existing Network Wide Road Assessments and review findings regularly for action. Inclusion of the data about pedestrian/cycling infrastructure and traffic in the Network Wide Road Assessments in line with the Annex. The safety of road infrastructure across the EU should be measured using a comparable method agreed at EU level with targets then set for improvement. Collecting data about infrastructure and traffic, including pedestrian and bicycle facilities, as well as existing and potential pedestrian and bicycle traffic, will form a basis for more evidence-based policies. Adapt the current procedures so they also apply to the needs of all VRUs, keeping in mind that each of the groups (pedestrians, cyclists, motorcyclists) has its own specific requirements. The RISM Directive’s procedures for design, construction and maintenance should be reinforced to meet the needs of each of the VRU groups. Develop EU general performance requirements on road markings and road signs in maintenance budgets to achieve optimal performance of Advanced Driver Assistance Systems (ADAS), such as Lane Departure Warning and Traffic Sign Recognition. Setting minimum performance standards for road markings and road signs to facilitate recognition both by human drivers and connected and autonomous vehicles. In-vehicle safety technologies which rely on road markings and traffic signs are increasingly common. Semi-automated or fully-automated vehicles will rely on readable road infrastructure for safe driving and the application of the new technologies. Ensure appropriate follow-up to road safety inspections by means of reasoned decisions determining if remedial action is necessary. If no action is taken, then an explanation should be given as to why the issue is not considered as deserving intervention. Set-up and regularly update a risk-based, prioritised action plan to track the implementation of identified remedial actions. Work towards higher standards and guidance nationally and across the EU concerning road work zones. Risks involved with work zones can include the risk of collisions between general road users (vehicles, pedestrians) and barriers, equipment, vehicles or personnel. Work zones represent an obstacle for connected and autonomous vehicles due a major change of the environment. From the worker safety viewpoint, the risks involved with work zones can include risk of collisions in or outside the work zone. The collisions can happen with passing vehicles or works vehicles and machines. Require that RSIs are carried out by certified auditors only, and that the inspecting team is led by an independent auditor. Support the creation of a Forum of European Road Safety Auditors, on adoption of the new Directive as suggested by the EC under the EU Strategic Action Plan. Set EU guidelines for promoting best practice in traffic calming measures. Set EU guidelines implementing the concept of ‘self-explaining’ and ‘self-enforcing’ roads, matching speed limits and road characteristics and functions with one another. Set EU guidelines concerning harmonised, higher standard management of high risk sites. Set EU guidelines for minimum quality criteria for cycling and pedestrian infrastructure. Include joint road safety inspections of transition areas by the competent authorities between the roads covered by the Infrastructure Safety Management Directive 2008/96 and road tunnels covered by the tunnel safety Directive 2004/54. Reports on the procedures as well as resulting measures should be made publicly available to affected citizens.